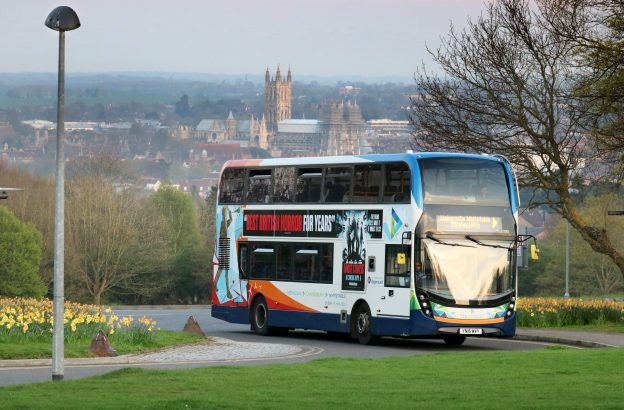 We work with Stagecoach bus company to subsidise bus tickets and ensure buses to and from the campus are very regular. The aim is to provide access to super affordable travel for your time at university and that you can get around easily. 26a Grocery bus- Take this bus from the campus or Hales Place for easy access to Asda and Sainsbury’s to do your food shopping on a Saturday morning. Other large shops in the area include Lidl, Argos and Carphone Warehouse. Shops in the Vauxhall Road area include Currys/PC World, Matalan, Halfords and TK Maxx. The service runs during term-time only and every Saturday from 10.00 until 15.00. Uni1 Unibus- Take the Uni1 for easy access between the university and the City Centre, where you can go shopping and visit the Cathedral. This route also passes Canterbury East train station and close to West train station. The Uni1 stops at Keynes and Parkwood or Darwin on campus. This service also has free Wi-Fi on board! Uni2 Unibus (24 hours) – Jump on this bus to get to the University from Hales Place, or continue to Canterbury West station and the City Centre. The bus route passes both train stations in the direction from the City Centre to the University. The Uni2 bus stops on campus at Keynes, Parkwood and Darwin bus stops. The Uni2 is a 24 hour service (excluding Sundays, bank holidays, Christmas and Summer vacation). Take this bus to get home after a night out in Canterbury. Triangle- Ride the new Triangle to get to Whitstable or Herne Bay. Some services also go into Canterbury city centre (check the front of the bus). Triangle buses also have free Wi-Fi and USB charging points! Remember, if you have the Unirider or staff South East Megarider bus tickets you have unlimited travel on any Stagecoach bus in Kent and East Sussex. If you’re a new student or regret not picking up the Unirider earlier in the year, you now have the opportunity to purchase the term 2 and 3 Unirider for unlimited travel on any Stagecoach bus for only £180. For more information visit our Canterbury bus page or the Stagecoach website to plan your journey. 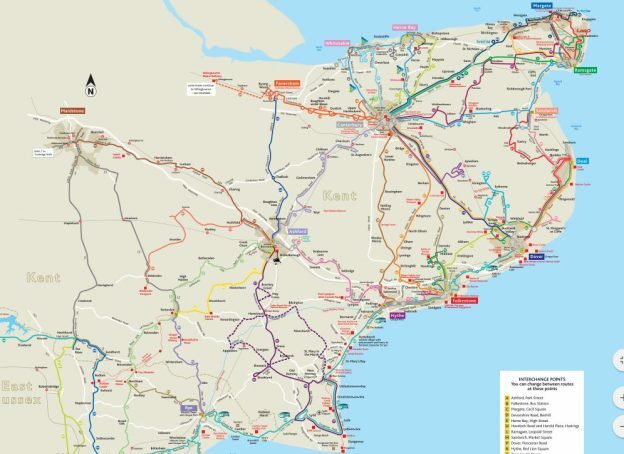 This entry was posted in News and tagged south east megarider, stagecoach buses, subsidised travel, Unrider on January 21, 2019 by Miriam Sandiford.